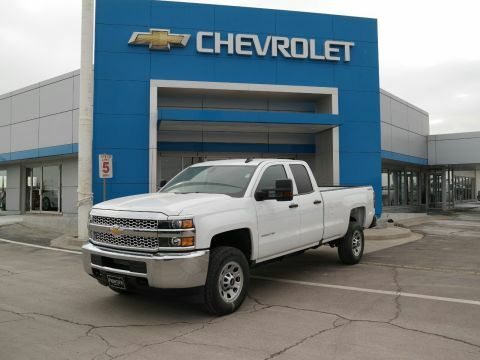 This Chevrolet Silverado 2500HD delivers a Turbocharged Diesel V8 6.6L/403 engine powering this Automatic transmission. WT CONVENIENCE PACKAGE includes (AKO) tinted windows, (KI4) 110V outlet, (AQQ) Remote Keyless Entry and (A91) remote locking tailgate. Double Cab and Regular Cab includes (DPN) outside heated power-adjustable vertical trailering mirrors. 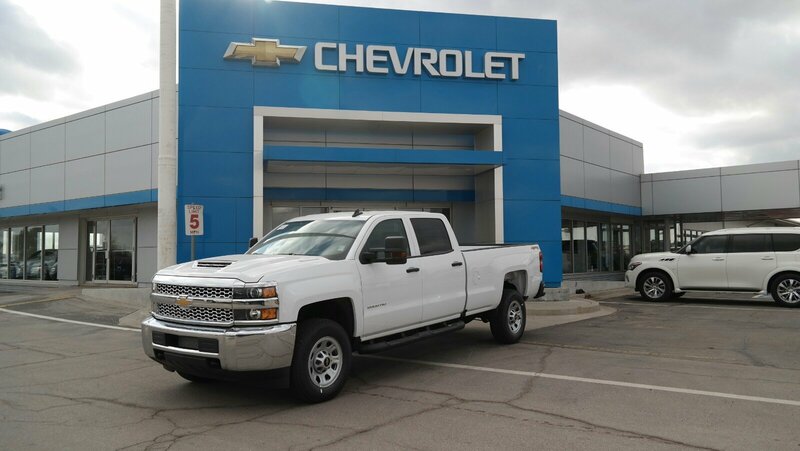 Crew Cab includes (DL8) outside, heated power-adjustable mirrors., WORK TRUCK PREFERRED EQUIPMENT GROUP includes Standard Equipment, WHEELS, 18 (45.7 CM) PAINTED STEEL includes 18 x 8 (45.7 cm x 20.3 cm) steel spare wheel..*This Chevrolet Silverado 2500HD Features the Following Options *UPFITTER SWITCHES, (4) Provides 4-30 amp circuits to facilitate installation of aftermarket electrical accessories, UNDERBODY SHIELD, FRAME-MOUNTED SHIELDS includes front underbody shield starting behind front bumper and running to first cross-member, protecting front underbody, oil pan, differential case and transfer case, TRANSMISSION, ALLISON 1000 6-SPEED AUTOMATIC, ELECTRONICALLY CONTROLLED with overdrive, electronic engine grade braking and tow/haul mode, TRAILERING EQUIPMENT Trailering hitch platform 2.5 with a 2.0 insert for HD, 7-wire harness with independent fused trailering circuits mated to a 7-way sealed connector to hook up parking lamps, backup lamps, right and left turn signals, an electric brake lead, battery and a ground, The trailer connector also includes the 4-way for use on trailers without brakes - park, brake/turn lamps and includes (JL1) integrated trailer brake controller., TRAILER BRAKE CONTROLLER, INTEGRATED, TIRES, LT265/70R18E ALL-TERRAIN, BLACKWALL, TIRE, SPARE LT265/70R18E ALL-SEASON, BLACKWALL, SUMMIT WHITE, SIRIUSXM RADIO enjoy a 3-month All Access trial subscription with over 150 channels including commercial-free music, plus sports, news and entertainment. Plus listening on the app and online is included, so you'll hear the best SiriusXM has to offer, anywhere life takes you. 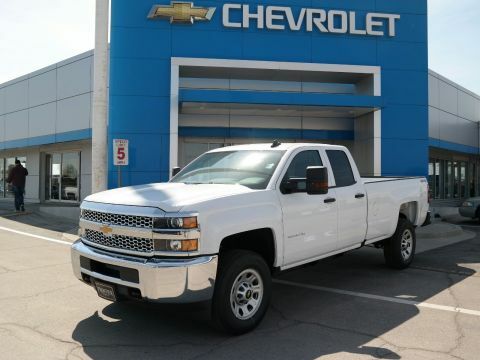 Welcome to the world of SiriusXM., SEATS, FRONT 40/20/40 SPLIT-BENCH, 3-PASSENGER, DRIVER AND FRONT PASSENGER RECLINE with outboard head restraints and center fold-down armrest with storage. Vinyl has fixed lumbar and cloth has manually adjustable driver lumbar. (STD). 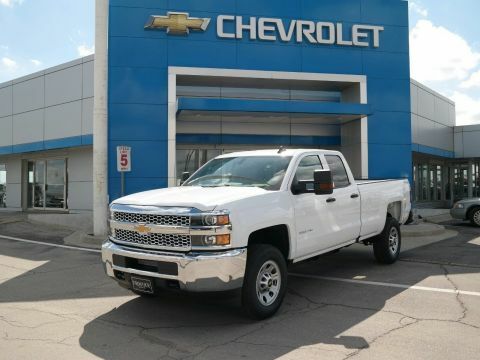 *Stop By Today *Test drive this must-see, must-drive, must-own beauty today at Frontier Chevrolet, 1640 East Highway 66, El Reno, OK 73036.